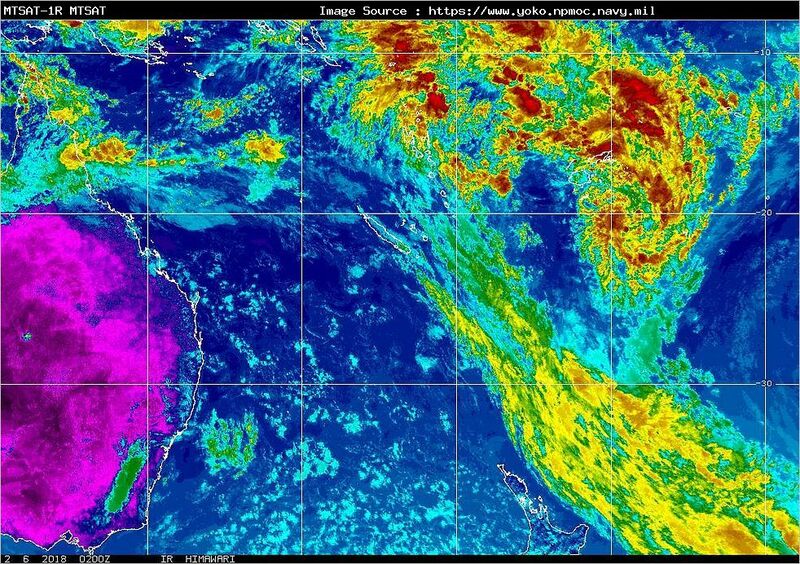 4km resolution colour enhanced Infrared (IR) satellite imagery from MTSAT-1R for the Australian region. Images are courtesy of the US Navy, update at around 20 minutes past the UTC hour and are archived for 14 days. Please note the timestamp may be an hour behind on the image due to the imagery coming in late. 10/2/2014: Due to a server outage with where we source the satellite imagery from, imagery is currently unavailable. We apologise for this. 14/02/2014: Imagery is slowly returning however there are some issues with timestamps on the imagery. We apologise for this and are working to resolve this ASAP. Images are sourced from an external website which is prone to the occasional period of downtime. Questions, comments and suggestions should be directed to Ben Quinn.